Some folk refuse to believe it, but beer in cans can be good, and they’re here to stay. 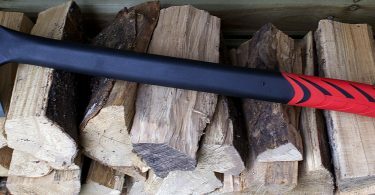 Advantages include: stackable, more portable, less breakable, lighter (in weight), darker (for the contents – light can adversely affect beer), no tools required to open them and you can crush the empties with a satisfying squeeze of the hand. Nowadays you can even get them with live yeast conditioning the booze inside. Some beers may well suit bottles better, but that’s no reason to dismiss the quality that canning can offer. When we produce beer ‘best of’ lists the first comment is often along the lines of ‘that beer can’t possibly be the best BECAUSE IT’S IN A CAN’. Pity those poor commenters, rejecting hundreds of quality products through their irrational prejudices over packaging when they haven’t even tasted the contents inside. This week, we’ve decided to guzzle our way through ‘Indie Beer Can’s 2016 champ ‘Treason’, by Berkshire brewery Uprising. It’s an IPA brewed to a West Coast USA style and is widely available online, in Waitrose supermarkets and at branches of Wetherspoons, so if there’s anyone still unsure about beer in cans this should be an easy one to track down. The beer has a full load of American fruity hop flavours: it tastes super fresh, with grapefruit and mango the most obvious comparisons among the fruit medly. 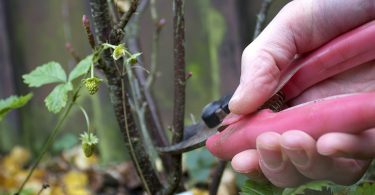 It also has a prominent bitterness which is a little bit piney and cuts through the fruitiness like a cold steel blade slicing a soft ripe peach. And there is not the slightest taint of dirty metal that cans would generally produce in the bygone days. Yes, this beer is good and it’s the modern kind of fresh and exciting drink that perfectly suits being in a can. I’ve not tried Treason direct from a keg or bottle before, so I can’t say if those other dispensing methods improve the flavour. But going by my taste experience I would gladly recommend this version to anyone who likes the sound of a modern, British brewed, American IPA. Cans are here to stay and only a fool would deny themselves the extra choice they bring. The taste of beer in cans can, without a doubt, be fine. 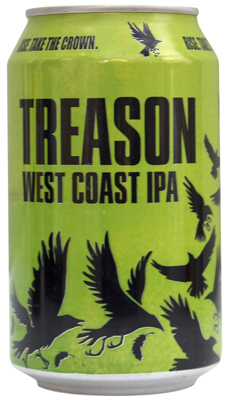 Treason is one of my favourite ipas and I didn’t see it in a bottle yet but there is mounting evidence that the aluminium the cans are made from leak toxins that cause or contribute to Alzheimer’s disease. Just putting it out there. Thanks for commenting. Is there mounting evidence that aluminium cans can contribute to Alzheimer’s disease? I thought it was a theory from a while back that hasn’t been proven. Would be interested in hearing any new evidence either way. I mean aluminium cans in general not specifically treason cans!